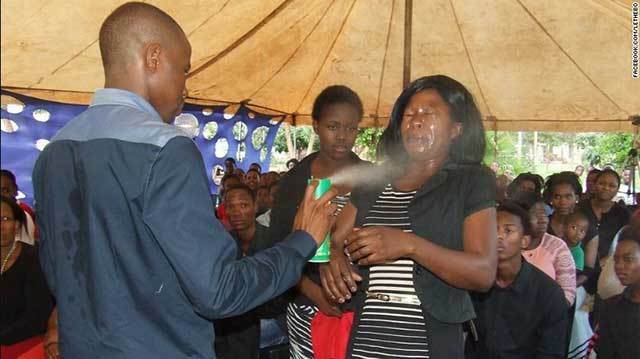 Johannesburg (CNN)Images of a South African Pastor spraying insecticide into the faces of his congregants are circulating on social media. "I came here with a pain on my back and stomach. 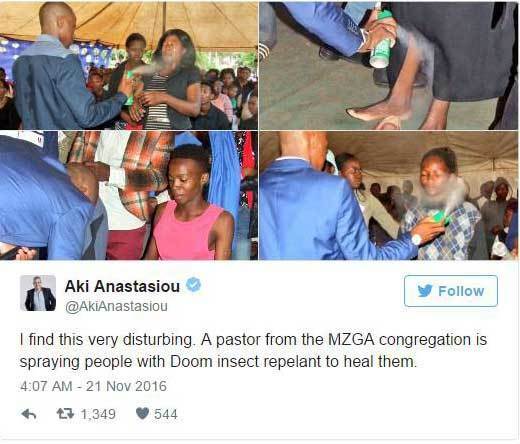 "Now, after the prophet sprayed me with Doom I am healed. My nose was blocked since last week, but after the prophet sprayed me with Doom I feel coming out of my nose. I thank God for healing me." When reached by phone, Rabalago declined to answer CNN's questions about his use of bug spray and hung up. 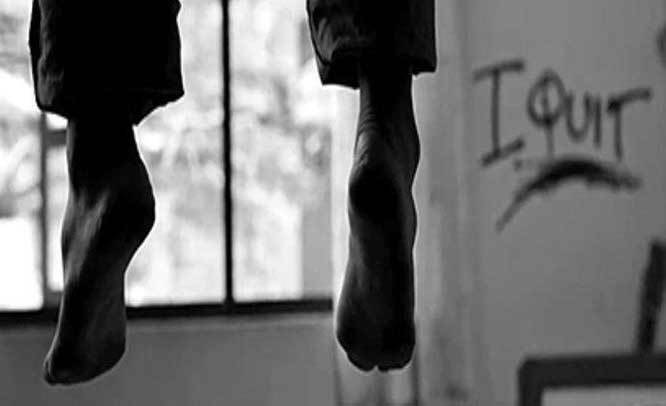 South Africa's Commission for the Promotion and Protection of Cultural, Religious and Linguistic Communities (CRL) is currently undertaking a study into the commercialization of religion and the abuse of belief systems. In a media statement the CRL described Rabalago's actions as shocking and repugnant, saying: "no one should be subjected to conditions that are detrimental to their health and wellbeing."